The pace of digital transformation in the manufacturing industry is relentless. But as Kevin Bull, Product Strategy Director at leading digital business services provider Columbus UK explains, digital transformation is not just about deploying emerging technologies – it’s about using the data collected to create new business opportunities, better understand and meet customer expectations, and put in place a future-proof digital strategy. The Columbus Manufacturing 2020 report, released in March, brought together industry leaders, academics and end users for unparalleled insights and opinions into the state of digital transformation in manufacturing, and the resulting trends and pressures placed on the industry. The report found that with 66% of UK manufacturers reporting digital technologies as a major growth driver in the industry, digitisation is already helping to minimise equipment deterioration and improve operational efficiency, and that this transformation isn’t limited to the shop floor. Business leaders are using real-time data to uncover insights about business process efficiency, learn how products are used by end customers, and identify unexplored revenue streams. One clear lesson we learn from the report is that product delivery has also undergone major evolution and is now rapidly shifting towards a service-based model. Here are five key takeaways that all business leaders should factor in when creating their future-proof digital transformation strategy. The unanimous verdict is that Industry 4.0 has arrived in the UK. 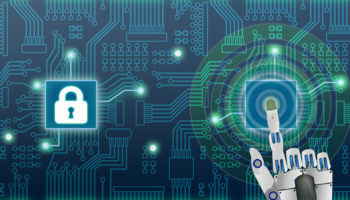 Industrial IoT deployments are in full swing, with mass rollouts of connected devices on the shop floor now connecting data points and capturing information from previously unmonitored equipment and processes. This isn’t limited to the largest businesses, which were traditionally the only organisations with the budget to embrace emerging technology. 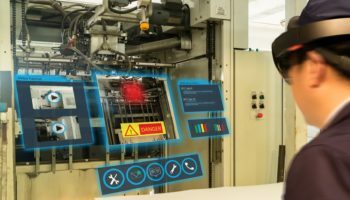 SMBs can now exploit the falling costs of sensors and connected devices to link together people, processes and plant equipment. This is generating an unprecedented volume of data to be captured, processed and actioned, helping put SMBs on a level playing field with their bigger competitors. To make data actionable, businesses first need to connect every available data source, eliminating data and intelligence silos that may have previously existed within Enterprise Resource Planning (ERP), Customer Relationship Management (CRM) or Supply Chain Management (SCM) systems. Taking an end-to-end, holistic approach to operations allows data analytics to provide enterprise-wide visibility into every aspect of the business, from sourcing materials to delivering products to end users. Actionable insights derived from data analytics allow business leaders to make data-driven business decisions for the first time, whether this is tweaking supply chain processes to keep them efficient or providing feedback on employee tasks. The real-time aspect of these data analytics is a necessity to improve business agility and become more reactive to fluctuations in production conditions, equipment deterioration or demand forecasting. Let’s look at this in action. Take a piece of machinery in the plant that plays an integral role in the production process. Sensors can be connected to monitor every possible aspect of its condition, from vibration levels to humidity and temperature, and forecast when the machine will likely break down based on existing usage levels. 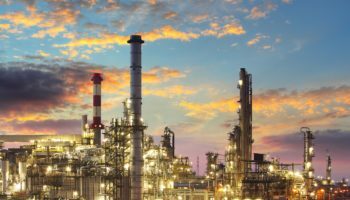 Using this information, manufacturers can roll out a predictive maintenance programme, harnessing artificial intelligence and machine learning technology to monitor equipment status and adjust maintenance schedules to maximise the availability of the asset. 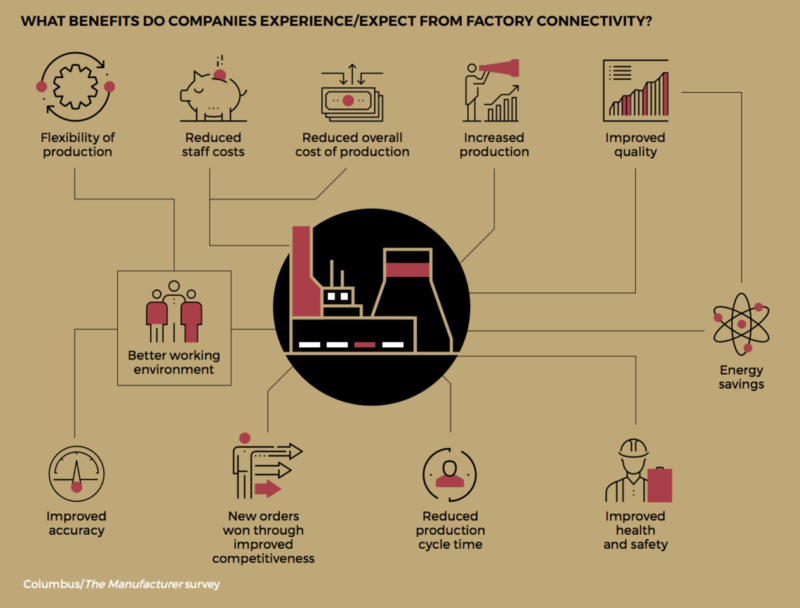 Increasing consumer-focused digitisation has given rise to demanding, always-connected customers, and manufacturers are having to improve their customer service in response. By bringing together data from across the business, manufacturers can develop detailed customer profiles to better tailor service delivery and refine offerings to meet always-evolving customer needs. Servitisation offers a unique opportunity to develop closer customer relationships and in turn retain them for longer, developing new revenue streams by bundling additional services with products. By embracing this business model, manufacturers can put the customer at the heart of their own digital transformation. 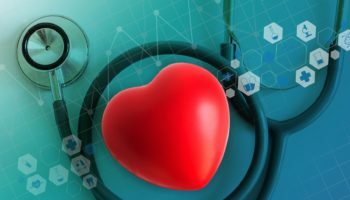 Data analytics will certainly be at the core of a customer-centric strategy, using granular data for a better understanding of customer requirements, expectations and product usage. Mind the skills gap Embracing digital transformation on the shop floor is very much a case of ‘disrupt or die’, but the same applies to workforce upskilling and recruitment. Manufacturers can install the most advanced technology available, but if they don’t have the skilled workforce to use it effectively, the true investment value will never be realised. 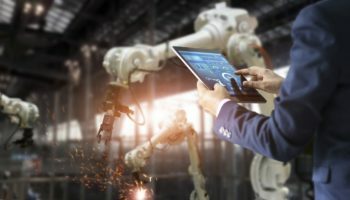 As technology continues to move forward and develop unabated, questions are raised as to whether manufacturing workforces are doing the same. Are existing skilled workers prepared and trained for the impact of emerging technology in the workplace? Do business leaders have a strategy in place for bringing the next generation of digital natives into the workforce? Mix in concerns over whether Brexit will affect skills availability, and this becomes a priority issue to tackle. ‘Digital by default’ Millennials already represent over 35% of the workforce today, and this will grow further. Integrating these new recruits with an existing talent pool will provide a blended workforce with the broadest possible skillsets and offer the best possible opportunity of a smooth transition into today’s smart factory model. Tailored strategies required! The future technology requirements of every organisation in the manufacturing sector will not be uniform – there is no ‘one size fits all’ approach to digital transformation. Companies of all sizes should be looking to digitise processes and equipment related to their focus markets and client-base to enable them to improve their bottom line, meet the expectations of their customers and stay ahead of that competitive curve. The answer to successfully embracing digital disruption lies in identifying key areas for digitisation and deploying future-proof technologies that will generate genuine value for the business – on the shop floor or in the back office. 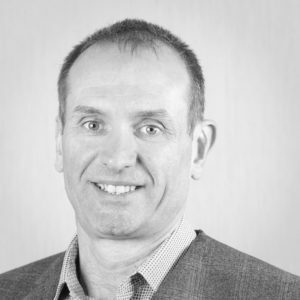 Kevin Bull is Product Strategy Director at leading digital business services provider Columbus UK. Kevin has been delivering information technology solutions to the manufacturing sector for over 25 years. In practical terms this has meant hands-on implementation of ERP, CRM and BI solutions in over 120 businesses across a wide variety of manufacturing sectors. Today, his role in Columbus UK is leading their pre-sales consultancy, advising customers on the tools and methods in which Information Technology can be deployed to bring benefit to their business operations.